Access photo libraries, videos, recordings and other images reflecting Great Lakes fisheries. There are a wide variety of partners, sources, and sites that offer access to the vivid imagery of our Great Lakes fisheries - past, present, and future. This page offers access to a variety of sites where photos, videos, and other images area available for viewing - and some even for public download and use. Enjoy exploring the visual imagery of our Great Lakes fisheries - the fish, the fishermen, and their boats and gear - in action on the water and amidst our coastal communities. 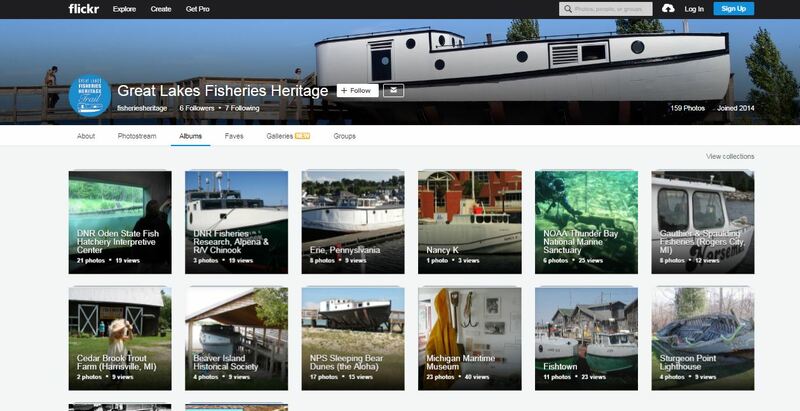 A library of photos from Great Lakes Fisheries Heritage Trail sites and network partners.